Several relatives and supporters of Libya’s Gaddafi-era intelligence chief, jailed for his alleged role in a bloody crackdown during the country’s 2011 uprising, protested in Tripoli on Saturday to demand his release. 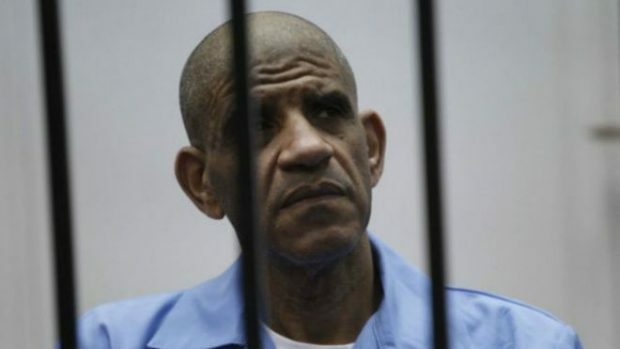 Abdullah al-Senussi, a brother-in-law of longtime dictator Muammar Gaddafi, was sentenced to death in 2015 over the part he allegedly played in the regime’s response to a Nato-backed uprising in 2011 toppled and killed Gaddafi. Eight others close to Gaddafi, including the Libyan leader’s son, Seif Al-Islam, also received death sentences following a trial condemned by the United Nations as “seriously” flawed. Several dozen relatives and members of Senussi’s tribe, the Magerha, gathered in a central Tripoli square to demand he be freed over health concerns. “The law and medical reports support our legitimate demand,” said one protester, Mohamad Amer, AFP reported.. In a statement, the Magerha said his liberation would “contribute to and consolidate national reconciliation” in a country torn apart by inter-communal conflicts since Gaddafi’s fall. The unusual protest comes just over a month after the release on health grounds of Abuzeid Dorda, Gaddafi’s head of foreign intelligence who was sentenced at the same time as Senussi. The protesters held up photos of Senussi behind bars and placards reading “Freedom to prisoners. Yes to national reconciliation”. Senussi was extradited in September 2012 by Mauritania, where he had fled after Gaddafi’s fall.